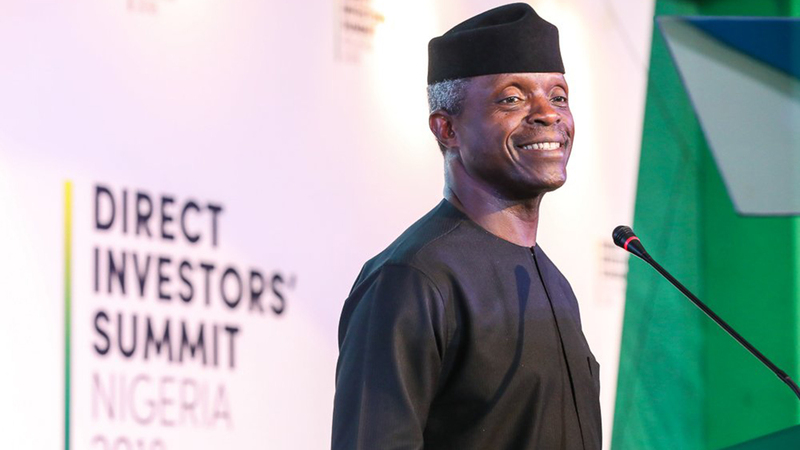 Vice President, Yemi Osinbajo has asked Smart Adeyemi and the congregation who gathered at the Cathedral church of Saint Paul, Iyara for the funeral service of the late wife of the Senator not to mourn but rejoice because she has fought the good fight. Professor Osibajo who was speaking yesterday at the funeral service of late Yemisi Adeyemi, described her demise as a personal loss to him, the Church and the Nation at large but said he is consoled by the knowledge that the deceased was already resting with her creator. He urged the congregation to emulate the selfless service exhibited by late Yemisi whose service to humanity was unparalleled. Earlier, the officiating pastor, Bishop Paul Ojo described the late Adeyemi as a precious soul whom life flowed through.